A squeeze of lemon gives these whole wheat vegan waffles a lovely buttermilk flavor and light texture. A great healthy weekend brunch! Fall happened for me last night. I stepped off the plane at Midway Airport (in shorts) and immediately thought “they really have the AC blasting here.” Until I realized, oh wait, that’s just Chicago. As I write this, I’m sitting in the kitchen I grew up in (with a few sweaters on), thinking about some of my warmest fall memories… Saturday mornings with pancakes and waffles are definitely at the top the list. Crisp, cool air, hot waffles… and most likely the Muppet Babies on TV in the background. These vegan waffles are great right off the waffle iron, but lately (especially because I’ve made so many test batches), I’ve been freezing the extras for easy-waffling any day of the week. Let them thaw just slightly and then pop them in the toaster. Because sometimes you want a waffle on a Wednesday. This vegan waffle recipe uses whole wheat pastry flour, which I love because it’s whole grain but not too dense. 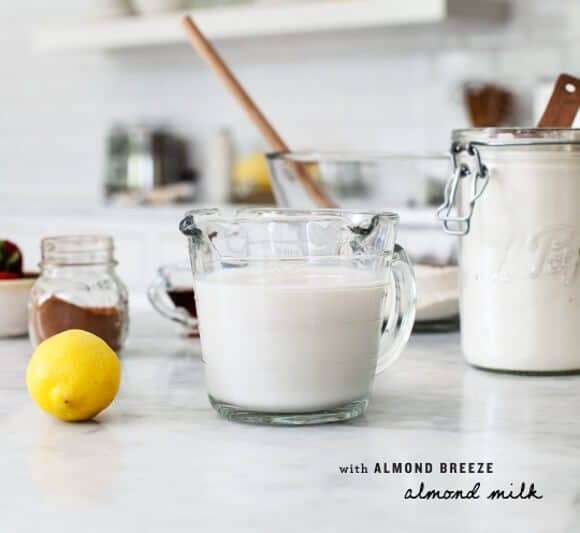 I used my non-dairy milk of choice – Almond Breeze – with a squeeze of lemon to create a vegan “buttermilk” flavor. These waffles are soft on the inside, crisp on the outside, and best with maple syrup and tons of fruit! Love waffles? Try these carrot ones or these with pumpkin! 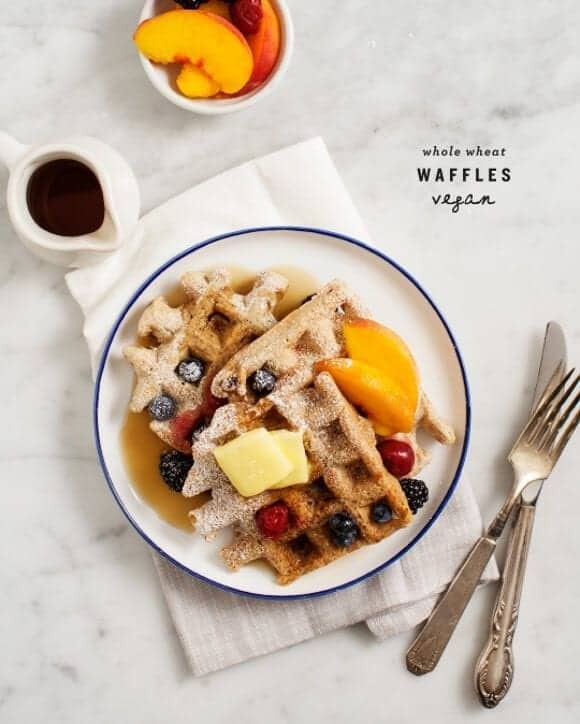 Whole wheat pastry flour and a squeeze of lemon give these vegan waffles a light texture and slight buttermilk flavor. 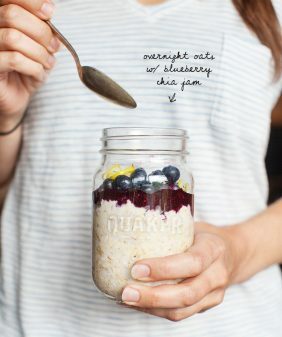 We love these on the weekends, but extras freeze well for breakfasts during the week! In a small bowl, combine Almond Breeze and lemon juice. Set aside. 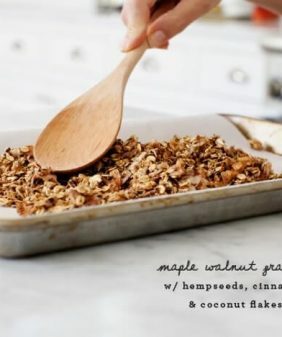 In a medium bowl, combine all dry ingredients (flour, baking powder, flax meal, cinnamon, sugar, and salt). To your small bowl (with the almond milk), add the melted coconut oil and vanilla and whisk together. Then pour your wet ingredients into the dry ingredients and mix until just combined (don't over mix). Spray your waffle iron with a little cooking spray and scoop in the batter. I let my waffles cook for about a minute after the beep for an ideal crispy-on-the-outside texture. Serve waffles immediately (while they're piping hot! ), with butter, maple syrup and fruit. Let leftover waffles cool and freeze for easy weekday waffles later. These freeze and toast well - if you have a Belgian waffle maker with deep squares, you may want to let them thaw a bit before toasting so they toast evenly. Survey complete! love your blog! xo! Completed the survey! It just got cold here in Colorado (with snow! ), so I’ll have to try these this weekend! Survey done! Love your recipes. survey done, think I deserve waffles as a reward? Survey done! thanks for the recipe! I so want waffles now! PS: I filled out the survey. Excited to try this waffle recipe – freezing will be a great option to have ready-to-go breakfast for my two year old. Survey submitted! These scream fall to me!! Just filled out the survey. I just discovered your blog fairly recently and really love it. I guess what I like the most (which there wasn’t really space to say in the survey) is how flexible the recipes are – most are very open to substitutions based on personal preference/diet restrictions/what’s on sale or in season, etc. I also love how simple to make many of the recipes are – I love to cook and it’s easy for me to get carried away with complicated recipes, which I don’t really have time to make these days, so it’s been great to find recipes which are just as tasty without all the added stress. And I love how healthy they are too! Lovely looking waffles! Just wanted to let you know that I tried to do the survey, but couldn’t drag the statements on the 1-5 scale question, so I wasn’t able to finish. Not sure if that’s just user error or a bug in the survey! thanks for letting me know Erika! Completed the survey. Welcome back to Chicago! Hello, I wanted to say that I completely agree with “L”. I usually have no problem taking the recipe and then working in the ingredients from my CSA. The recipes are adaptable, beautiful, and delicious. Speaking of – can I use whole wheat flour instead of whole wheat pastry flour? Baking is my weak point, and I’m not sure if that is an acceptable substitute. I completed your survey, because I wanted to let you know that I appreciate the work you put into this site. im so ready for fall in Texas..I hope you enjoy your time in Chicago. survey complete. keep up the good work! Yum! I’ve been looking for a waffle recipe like this for ages!! I already love almond Breeze, so having yet another avenue to use it in is always appreciated! (the giveaway isn’t a bad touch either) 😉 Thanks!! I took the survey, and will be trying this recipe! Love your blog!! 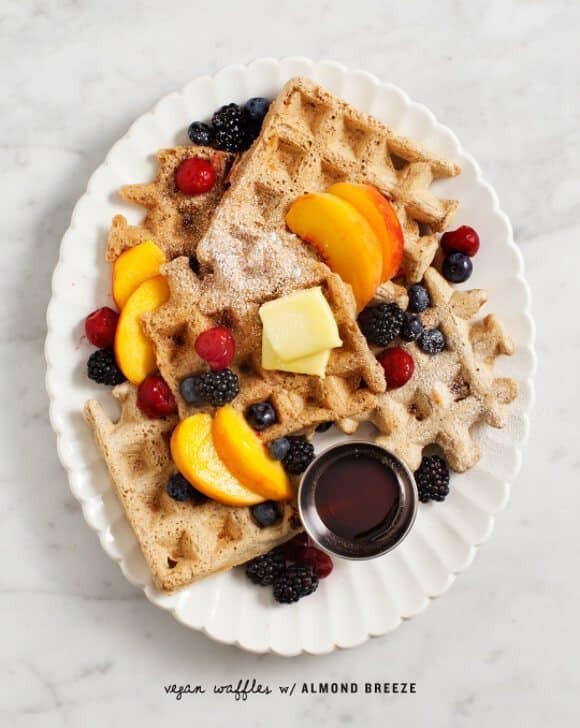 These waffles look like a wonderful start to a morning, especially topped off with some delicious fresh fruit. Thanks for sharing this recipe and for the survey giveaway! There’s just something about hot, delicious waffles for breakfast. These look easy and scrumptious! I may make them this weekend. 🙂 Survey done, also! Thank you for making al this cooking so fun and pretty. Survey complete! I don’t have a waffle maker, but this recipe sure makes me want to buy one. Freezing in Chicago with you! At least it puts me in the mood to bake. Took the survey! Filled out the survey! These waffles look great! Done! These look so good! Beautiful site 🙂 Been looking for new breakfast options, thanks! Did the survey – made me really think about all the influences I get from the blogs I read… they’ve really made an impact on the food I eat and products I purchase overall, even if the individual promotions don’t necessarily get me to buy that brand. Whole wheat pastry flour is so versatile. Love making waffles to freeze too and these look wonderful! The drag and drop feature for the ranking question is not working for me. Any tips? so sorry you’re having trouble! Yes, weekend pancakes and waffles were a favorite at my house, too! Cooking is the best when it brings back those fond memories. Have fun at home! Survey complete. Wanted to add that I love the vegan & vegetarian ideas. Often they are quick to make and pack up for lunches for the week. I haven’t made vegan waffles before, but these look truly lovely! So fluffy! took the survey & I love your blog! I want to eat all the waffles! and survey complete! Survey done. Love the idea of freezing these waffles so I don’t have to buy them from the grocery store! Any substitute for a waffle iron? What beautiful waffles!! Love all the colorful fruit you put on top. Pinned! Great recipe, can’t wait to try it! Are you happy with your waffle iron? I’m in the market and trying to get a read on what people like. Thanks! I like it – but I haven’t owned any others so I have nothing to compare it to. It makes great waffles. The only thing I don’t like about it is that it’s sort of a pain to clean because none of it comes apart. Took the survey. Thanks for the recipe, the waffles look delicious! Survey complete! These waffles look scrumptious! Just finished the survey. Thanks for the giveaway! OMG – I’m in love …. with the food!!! As soon as I started reading this, I started to drool. I’ll be back to this blog, that’s for certain. I took the survey. I’m going to buy a waffle iron asap so I can try this recipe. Looks great! Survey completed. And I think I now may have to put a waffle iron on my Christmas wish list! These have been bookmarked, for sure! I freeze waffles, too, mostly because there’s usually only one person (me) to eat them. I’ve tried other vegan waffles and for some reason I think they taste better than the regular kind, so I’m keen to give these a go. Survey done, thanks for the recipes! Survey done! Love this blog! I live local so I love all the inspiration, places and recipie ideas that feel so close to home! Just completed the survey! I love easy weekday breakfasts. 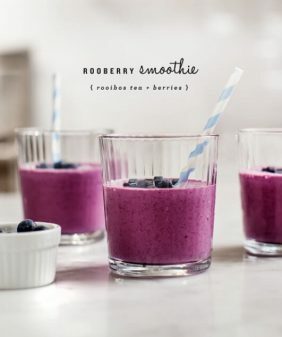 I might have to switch up my smoothie routine now that it’s getting cooler. Waffles seem like a great mid-week pick me up!! survey done! new to your blog…and I love it! already told friends about it! Thanks for taking time to ask for our thoughts! Survey complete … aaaand these waffles look delightful! thank you for taking a minute to give your thoughts! Love your tip for creating vegan “buttermilk”. Thanks! Did the survey–happy to help! I need more waffles in my life, too! what can I sub for the oil? Could I use an equal amount of unsweetened applesauce? What can I sub for the oil? Could I sub an equal amount of unsweetened applesauce? You could try (or just try cutting the oil in half) – I think they’d be a bit dry without any oil. I have had success with replacing oil in pancakes with unsweetened applesauce so I am going to try subbing the coconut oil for the applesauce as it will save me a lot of saturated fat and calories and hopefully will not effect the taste. When I saw this recipe I ran to buy a waffle maker. Because I was looking for a healthy waffle for long time. I make the waffles and believe me they are delicious and simple to make. But the most important very healthy. 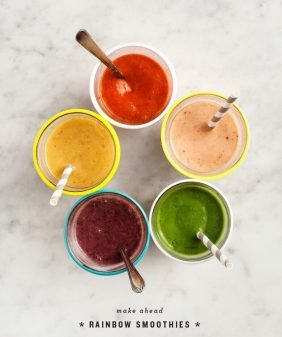 healthy and delicious new recipes, so I appreciate this new find. 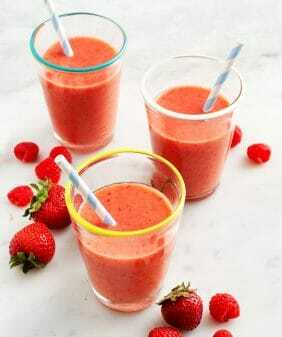 Your photos are wonderful and recipes look amazing and easy to follow. I’m looking forward to more of your posts. From Kelowna, British Columbia – the west coast of Canada. Hi! 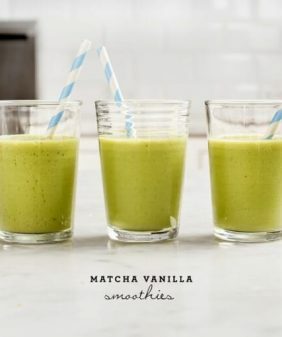 I just bought your cookbook and am SO excited to read through it, your blog is amazing!! One quick question – is the almond milk supposed to curdle when you add the lemon juice? That happened to me and I assume its so it has a thicker texture, but I want to make sure it’s okay to use! Just made these, and they turned out really well – very light and fluffy. They have just the right amount of sweetness without adding syrup. No need to oil my ceramic waffle iron; there was no sticking. The only modifications I made were using an unsweetened almond milk from Whole Foods, and sucanat in place of the cane sugar, which has a 1:1 substitution ratio. For me, this recipe made 3 Belgian waffles. This is only my second attempt at vegan waffles, the first being with ground oatmeal and banana…which was not good. I don’t think I need to look any further. Thanks for the yummy recipe Jeanine. I don’t use any of the conventional vegan milk brands because they contain stabilizers that act like laxatives. I tried this recipe using Westsoy soy milk and sprouted whole red wheat flour, and in spite of my forgetfulness, it came out great. I forgot to add lemon juice, but added a tablespoon of apple cider vinegar at the end. And I forgot the salt. [sigh] (PTSD memory problems.) Next time I will try a non-soy nut milk and add a tablespoon of starch, like tapioca. Waffle came out fluffy. Oh yeah, and instead of adding the flax with the flour, I let it soak in a half cup of milk for a good long time. Does this mean I didn’t follow the recipe? I guess so. Still. Proportion of ingredients produced the right viscosity of batter for a waffle maker. So many other recipes are too liquidity requiring extra flour. But not this recipe. Hence five stars. Excellent. Thank you! Hi Kiai, I’m glad the batter came out perfectly! I often use lemon juice and apple cider vinegar interchangeably so I’m glad that worked out for you. Thanks for coming back to comment!